I also am listing some previous books read that are contenders for the Sibert award. Here is Alyson's post that explains the criteria. What would I choose for the Sibert Award? Maybe this latest book by a favorite author. I have loved Sarah Albee's books for a long time, and this seems to be filled even more than most of the straight information about clothing. Sarah glides smoothly from topic to topic, what's new because of some discovery, what's used because of a 'hidden' pest, like 'flea furs' where people draped a dead animal skin over their bodies to keep fleas away. It didn't work, unfortunately. Fleas like warm, living bodies! She shares how certain things became common, like underwear, because of thin material and cold weather created a need! Most clothing inventions/creations came from need, and from people tired of uncomfortable and heavy clothing, especially those who could afford change. Often the poorest continued to wear the same thing. Each chapter has an on-going narrative, with numerous pictures and sketching. They also include "extra" informative pieces with interesting headlines like "Why did Napoleon always have his hand in his coat?" The book is published by National Geographic with a foreward by Tim Gunn, of Project Runway. It's a good resource for history all through the years. I still have Swan and The Fantastic Ferris Wheel ready to read! Labels: non-fiction Picture Book Wednesday, Why'd They Wear That? I love the varied topics of nonfiction picture books. This actually seems interesting! 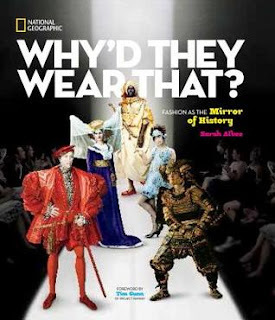 It is fascinating, Earl, with many details of the whys of clothing and how it changed. I just got to see Sarah Albee present on a panel with Alyson at NCTE. She was great! I haven't read Why'd They Wear That? yet, but I want to! Oh, I'm jealous, Holly. I do enjoy all her books very much. This one is even more detailed than the earlier ones, but good! Sarah Albee's books are fun, and so kid-friendly! 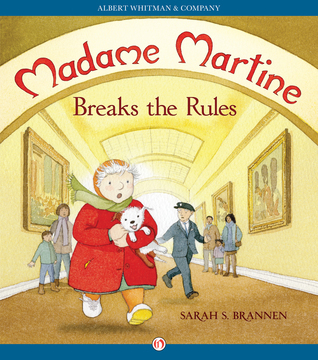 It's interesting that fun, high-energy books (which kids adore) so seldom win the big awards. It's nice to see her show up on your list. Hopefully some will make it to an award this year. Some of the older ones do well, like Bomb. Thanks, Annette. We have to read Drowned City - So many people are blogging about that book. It is wonderful, so yes, you need to read it!